Naval Open Source INTelligence: France Russia Mistral Ships Update: Malaysia To Buy Aircraft Carrier? The French defense minister is in talks with Malaysia to sell the Southeast Asian nation one of the Mistral warship aircraft carriers that was initially intended for Russia, a source close to the talks told Reuters Tuesday. Several countries, especially in emerging nations in Southeast Asia and South America, have been interested in the purchase of the ships, with reports confirming that one of the ships would be sold to Malaysia. 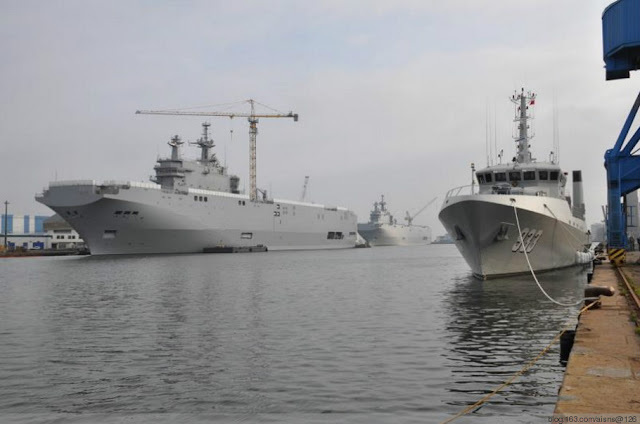 Defense minister Jean-Yves Le Drian was set to travel Sunday to Malaysia, reportedly to discuss the sale of one of the warships.